Parents are advised to check their children’s bicycle helmets after a widespread recall involving popular models sold at Walmart and Amazon.com. The recall may affect families and cyclists in Massachusetts. 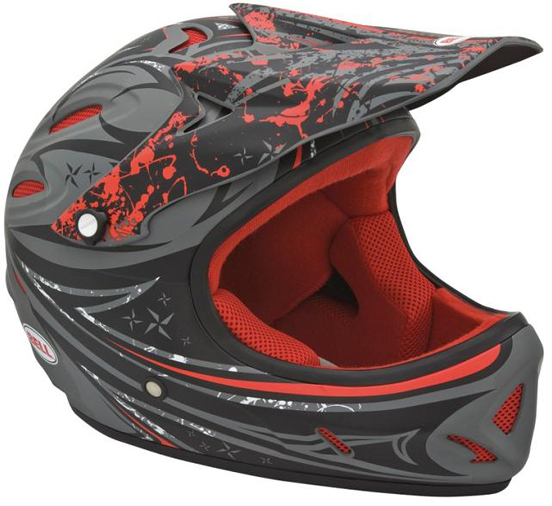 Bell Sports of Scotts Valley, California is recalling 33,600 of its Bell Exodus full-face helmets with a plastic buckle on the chinstrap. The defective bike helmets have an angled visor and came in multiple colors in youth size. They were sold at Walmart stores and Amazon.com for $50 to $60 between August 2009 and March 2011. The helmets pose a head injury hazard in the event of bike accident. The plastic buckle that connects the chin straps can fail and cause the helmet to fall off the person’s head, leaving them unprotected in bicycle accidents. The company has received one report of a buckle failing, resulting in a personal injury that required facial stitches. Some 31,100 of the defective bike helmets were sold across Massachusetts and the United States. Another 2,500 helmets were sold in Canada. Consumers are advised to stop using the helmets immediately. Read about the bike helmet recall on the Consumer Reports website. You will find a list of model numbers. Contact Bell Sports if you have a defective helmet and request a free replacement. Call Bell Sports toll-free at 866-892-6059 between 8 a.m. and 5 p.m. CT Monday through Friday. If you are a cyclist, wearing a helmet is critical to reducing the risk of head injuries. It is also critical for your children. It is important to purchase a helmet which is safe for use, meets CPSC standards and to learn how to properly fit your helmet. To learn more, read this brochure from the NHTSA – and share it with your friends and family members who ride. Another important safety tip is to replace your helmet regularly. We hope you never fall or are injured in a bicycle crash, but if you do fall, your helmet should be able to absorb the fall and provide protection. Once a helmet hits the ground in a crash, it should be replaced right away. If you don’t crash, you maybe able to use your helmet for a few years. You have to carefully inspect your helmet, evaluate the condition of the helmet and the wear and tear on helmet straps. Some people should replace helmets every year and others may work for two or three years. Tagged: "bicycle accidents", "defective bike helmets", "Massachusetts personal injury lawyers" and "product liability"